To keep up with the demand for innovative auto parts, Sodecia is expanding its facilities to include a new hot stamping line. The facility will be built adjacent to Sodecia’s new Global Technology and Automation Center (GTAC) and will enable the company to fulfill orders from top automotive original equipment manufacturers (OEMs) such as General Motors and Tesla. The new facility will provide an investment of nearly $30 million and has been awarded over $5 million in a combination of federal and provincial government grants. As a result of this project, up to 44 skilled manufacturing and management jobs will be created in London and the company will be better-positioned to export goods. Previously, all Sodecia’s hot stamping operations needed to be performed in the United States. Developing these capabilities in Canada will help supply local automotive assemblers and support an outflow of goods to international markets. Since 1998, the Sodecia Group has maintained a manufacturing presence in London, Ontario. They’ve steadily grown to support two stamping facilities and a Global Technology and Automation Centre where innovative automotive assembly machines are developed. Opened in 2016, the GTAC was built upon an 8-hectare lot; at the same time, an adjacent 16-hectare plot was purchased for the company’s new manufacturing plant. Then, late in 2017, Sodecia London launched its new 200,000 square-foot art hot stamping facility. Hot stamping is an increasingly important production technique used to create safe and fuel-efficient vehicles. As Sodecia grows and prepares for the future of automotive manufacturing technology, this facility will become even more important – not just for the company but for Ontario’s economy. The expansion’s economic benefits are a key reason why Sodecia London was awarded over $5 million in government grants. Awarded through both the federal and provincial governments, Sodecia London leveraged three different government funding programs to offset project costs. This financial support made the difference between the investment being made in London instead of a United States production facility. Sodecia London’s expansion project was awarded over $5 million in manufacturing grants. This helped offset a significant portion of the company’s $30 million investment. Investing in Business Growth and Productivity (IBGP): Sodecia London was awarded $3.5 million in federal government grants through IBGP, a program designed to help southern Ontario businesses scale-up to expand markets and facilities. Southwestern Ontario Development Fund (SWODF): The company may also receive up to $1.5 million in Ontario government grants through SWODF, an initiative designed to attract large-scale industry investments which improve regional economies. CME SMART Advanced Technologies for Global Growth: Additional support of $100,000 was awarded through CME SMART ATGG, a program designed to help Canadian manufacturers invest in productivity-boosting technologies which spur exports. Sodecia London’s latest funding win is an incredible example of how to optimize, then execute a government funding plan. It takes considerable planning to apply towards three unique government funding programs for one project, but when done this way, it can greatly improve a project’s outcome. 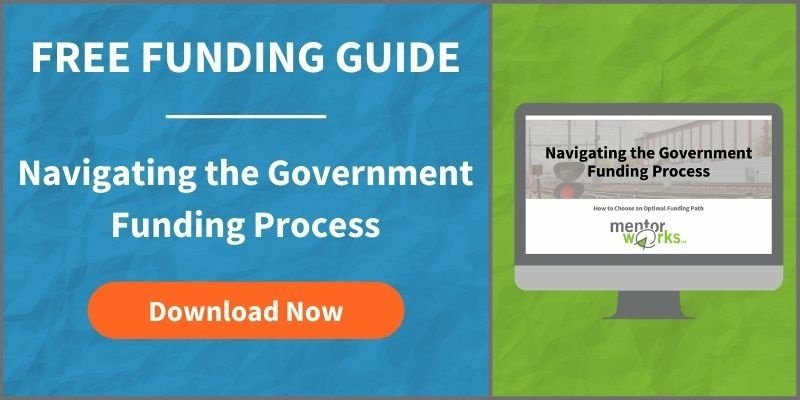 Learn more about developing a government funding plan for your business by downloading Mentor Works’ How to Build a Proactive Funding Plan slide deck.